Staff Sgt. Matthew A. Kimmell, 30, a Special Forces engineer sergeant, assigned to 3rd Battalion, 5th Special Forces Group (Airborne) died Oct. 11 in Muqdadiyah, Iraq, when an Improvised Explosive Device detonated near his Humvee, there. A native of Indiana, Kimmell entered the Indiana National Guard Jan. 11, 1994. He completed Basic and Advanced Individual Training at Fort Benning, Ga., and then began his active duty Army career there as an infantryman in February 1995. Kimmell was promoted to the rank of sergeant Jan. 1, 2003 with weapons squad, 3rd Platoon, C Company, 3rd Battalion, 75th Ranger Regiment. In June 2003, he began the vigorous, intensive two-year training to become a member of the Army’s Special Forces. 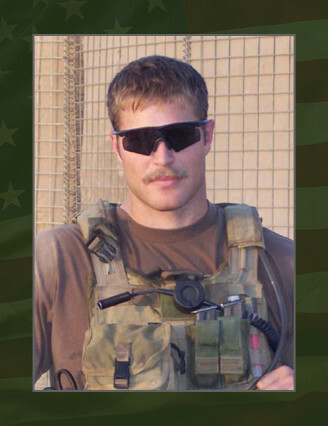 Kimmell successfully completed the Special Forces Qualification Course in November 2004 and then was assigned to 3rd Battalion, 5th SFG (A) at Fort Campbell, Ky. He was promoted to the rank of staff sergeant March 1, 2005. He deployed in support of Operation Iraqi Freedom in June 2005. His military education included the Survival, Evasion, Resistance and Escape Course, the Special Forces Assessment and Selection Course, the Special Forces Qualification Course, the Basic Combat Training Course, the Advanced Individual Training Course for Infantryman, the Basic Noncommissioned Officer Course, the Basic Airborne Course, the Jungle Course, the Special Forces Assessment and Selection Course, the Ranger Course and the Primary Leadership Development Course. Kimmell’s military awards and decorations include the Army Achievement Medal, the Good Conduct Medal, the National Defense Service Medal, the NCO Professional Development Ribbon, the Army Service Ribbon, the Iraq Campaign Medal, the Global War on Terrorism Service Medal, the Army Service Ribbon, the Expert Infantryman Badge, the Basic Parachutist Badge, the Ranger Tab and the Special Forces Tab. He was posthumously awarded the Bronze Star Medal, the Purple Heart, the Meritorious Service Medal and the Combat Infantryman Badge. Kimmell is survived by his wife, Mylissa, of Worthington, Ind. ; his parents, Larry and Jeanne, his brother, Jeremy, and sister, Susanne, all of Paxton, Ind.